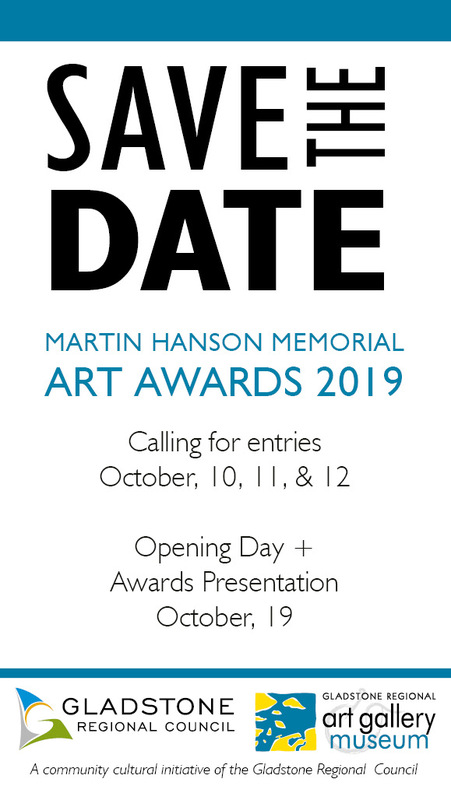 2018 marks the 43rd anniversary of the Rio Tinto Martin Hanson Memorial Art Awards. Since it’s inauguration in 1976, the Awards have become one of Queensland’s most prestigious regional art events and is eagerly anticipated each year. 2017 attracted over 377 entries from established, emerging and amateur artists from across the country and over 4000 visitors attended the exhibition and supporting public programs. Martin Hanson (1923-1976) was a popular and highly respected local businessman who was Member for Legislative Assembly (MLA) for Port Curtis 1963-1976, and patron to the Gladstone Artists Club. As a tribute to his patronage, in conjunction with the family, the Gladstone Artists Club held the first Martin Hanson Memorial Art Awards and Exhibition in 1976. The Gladstone Regional Art Gallery & Museum became the custodian of the Awards in 1993. From 1976, until her passing in 1998, Mary Hanson, Martin Hanson’s wife, officially opened the exhibition and presented the prizes in memory of her late husband. Their daughter, Elizabeth Zussino, continues the family’s commitment through sponsorship of The Local Murri Artist Award. The Awards were renamed in 2007 in recognition of Rio Tinto’s continued generous support of the Awards and arts in Queensland. In 2014, the format of the Awards changed with the addition of a fourth section of entry, Digital Works, adding to the other three existing sections of entry; Easel Paintings; Works on Paper; Three Dimensional and Fibre Works. That year Queensland Alumina Limited also supported the inauguration of 'The QAL People's Choice Awards', inviting the general public to vote for their favourite works on display. The Awards are only possible each year due to the ongoing generous support from local industry, business, and the community. The Gladstone Regional Art Gallery & Museum is thankful to have these positive sponsor relationships and strives hard every year to ensure that the Awards are unforgettable. The 44th annual Art Awards currently have sponsorship opportunities available for individuals who may be interested in supporting this pivotal cultural event. If you are interested in becoming an Award sponsor, contact us to organise a meeting with the Curator or Public Programs & Promotions Officer. Entries for the 2018 Art Awards are due to the Gallery & Museum between 10am and 5pm, Thursday 4, Friday 5 and Saturday 6 October 2018. The Awards will be presented 6pm, Saturday 13 October 2018. The 2018 entry form and brochure are available to be downloaded. For information about the Art Awards head to Exhibitions or look through our Past Exhibitions.